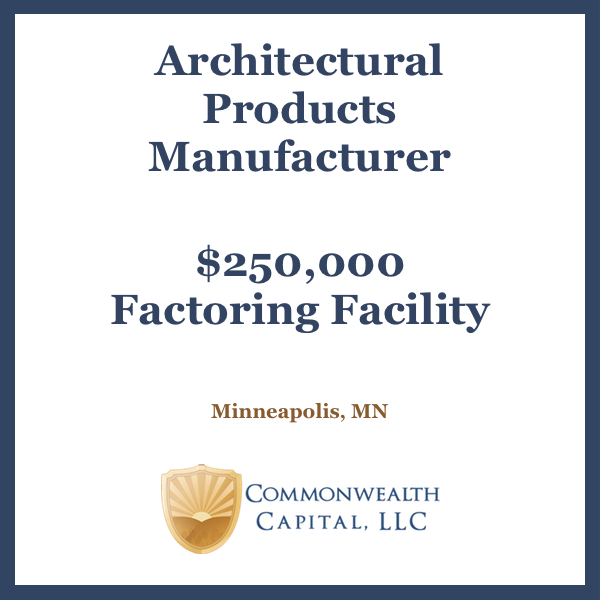 We recently provided a $200,000 invoice factoring facility to a 30-year-old manufacturer of industrial machine parts in the Midwest. The Company had many customers in the oil and gas industry. 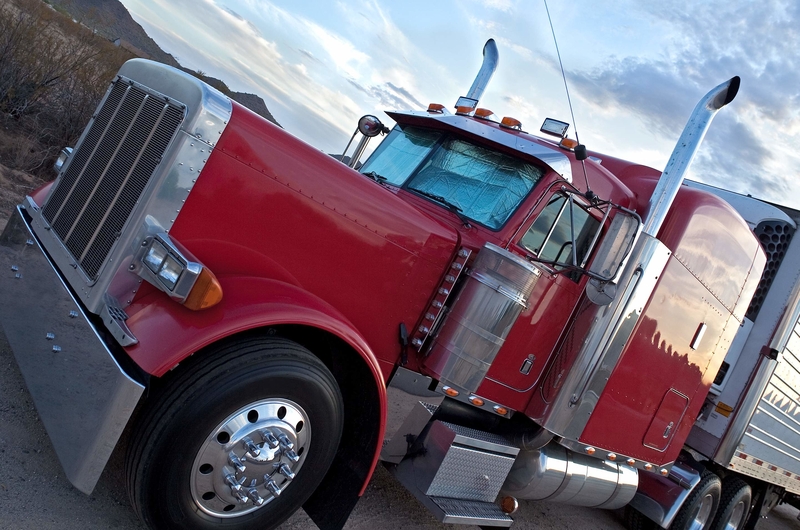 As oil prices declined, the Company’s financial situation worsened and its lender would not renew the line of credit. Strapped for cash, the company took on a short-term loan with daily payments of $400, further worsening its cash flow. The Company was introduced to Commonwealth Capital by a referral source. 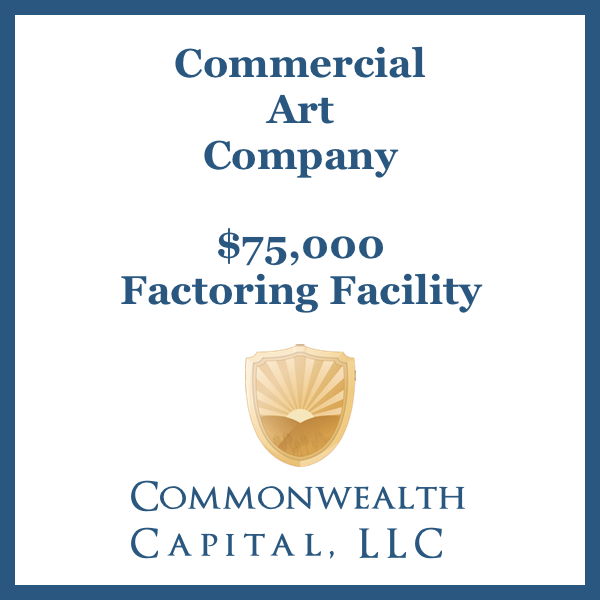 We quickly brought in an equipment finance company to pay off the short-term loan and the old bank. 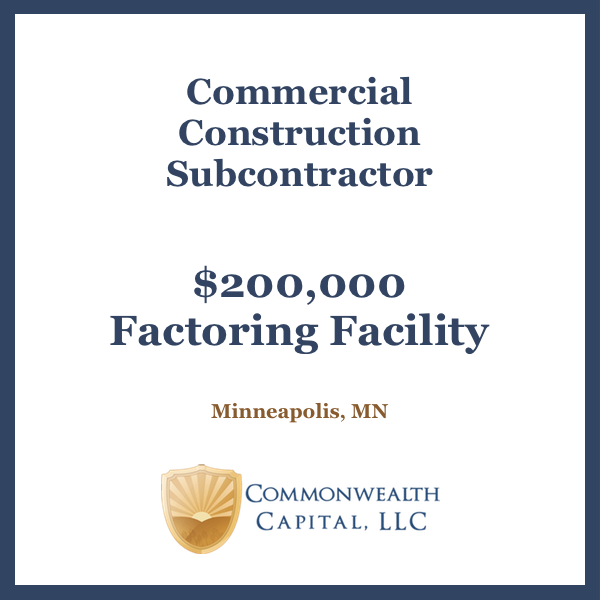 The Company now has easy access to fast working capital and can continue growing as they pursue new opportunities with new and existing customers.